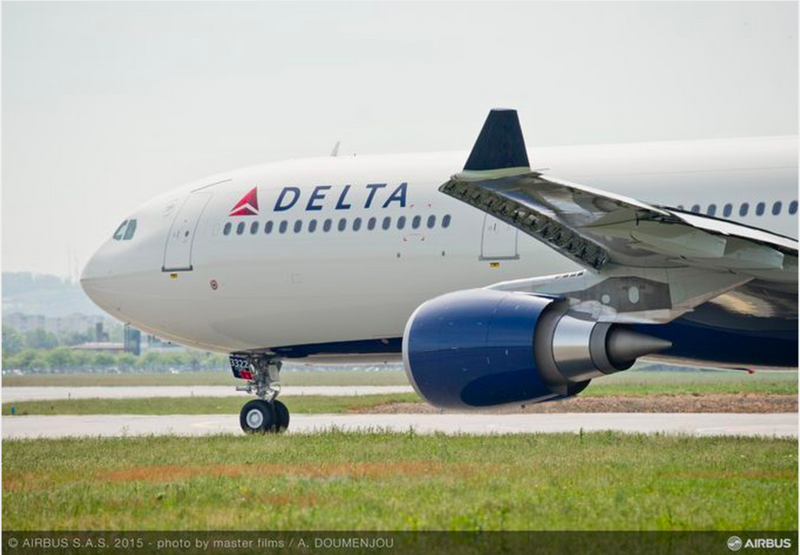 Delta Air Lines becomes the first US based airline to use biometrics screening for departing passengers at Hartsfield-Jackson Atlanta International Airport (ATL) and New York-JFK International Airport (JFK). First reported in May (News), the airline is working with different companies to test biometrics solutions at two of its biggest hubs airports. The Atlanta pilot will build on a year-long collaboration between Delta, NEC Corporation of America using NEC’s NeoFace Match software and the US Customs and Border Protection (CBP). The pilot will start at gates E10 and E12 with expansion into gates F6 and F9 later this summer. Entirely optional, passengers with an e-passports can use the advanced facial recognition technology at the gate to capture an image which would be verified for identity with Delta’s ticketing and the ePassport information. All data will be sent and verified by CBP as part of enhanced exit screening. Beginning on June 12, 2017, passengers using gate B24 at JFK will experience Delta’s eGate concept from Vision-Box. Similar to Atlanta, passengers will scan their paper or electronic boarding pass at the gate and use the biometric scanner to take a face snapshot prior to departing from United States. eGates doors will open when all the procedures are completed and identity is verified. The snapshot will be sent to US Customs and Border Protection (CBP) as part of exit screening. CBP and Delta can verify and match passengers’ identity at different stages of the travel process. This could speed up boarding process. Baggage Management – Using Radio Frequency Identification RFID and the Fly Delta mobile application, passengers are able to track where their checked baggages on their Delta operated flights similar to how packages can be tracked online. NBC Nightly News shared an inside look at the new technology which would reduce passenger anxiety when checking in their baggages.